Last week we featured the fabulous outdoor furniture store, Remarkable Furniture as our Retailer Spotlight. For WK2 we will be featuring the scandinavian retail phenomenon, Design Twins. The Design Twins store is located 70 Edith St, St Peters NSW. They sell a wide range of pots and also a wide range of Scandi homewares. Below we will show our top 3 picks from their online store. This print is my absolute favourite in the whole entire store. 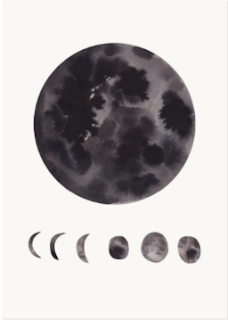 The Black and White moon print is absolutely scandinavian styled and the perfect artwork for above a bedhead. 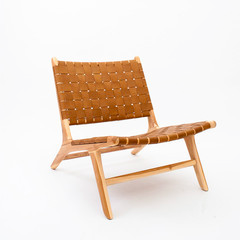 I absolutely love this Tan style Leather Occasional Chair. It is a perfect addition to any bedroom and it compliments any Scandinavian style interior.